Koi Wellness – Find Your Highest Expression of Health. Koi Wellness takes a customized integrative approach to help you achieve optimal wellness for a more enjoyable life. In working with Koi Wellness, we teamed up with them to revamp their Nutrient Injection and IV Therapy Menu. Our goal was to better inform customers and let them know exactly what benefits and vitamins they could expect from each treatment. 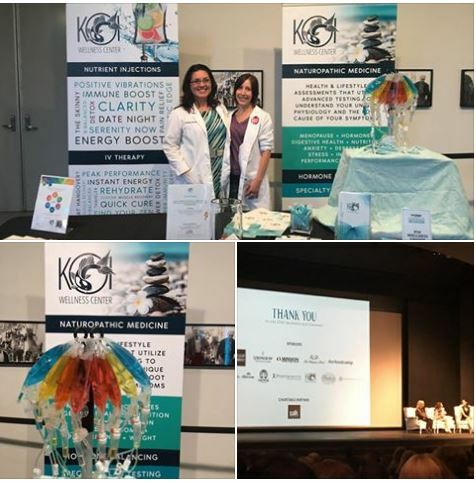 To help Koi Wellness enhance their reach and further their message, we created specialized events, such as 2016’s Summer Solstice Event, aimed at promoting specific products and services. Koi Wellness was also a proud sponsor of San Diego Magazine’s 2016 Woman of the Year Event. This entry was posted in Our Work, Portfolio. Bookmark the permalink.